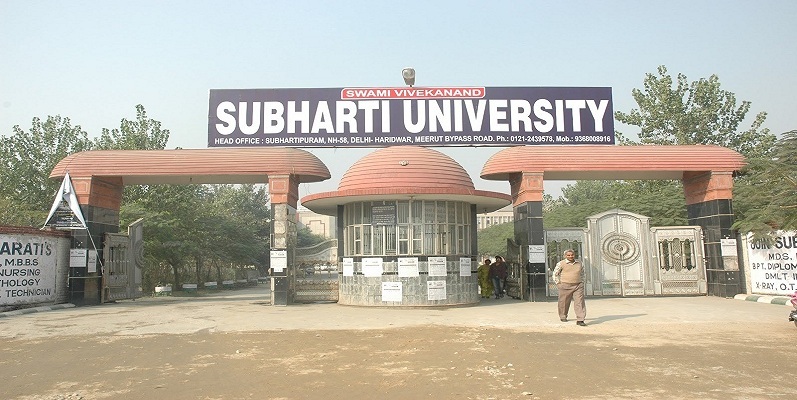 Swami VivekanandSubharatiuniversity established under section 2(f) of the UGC Act, 1956 set up under the Swami VivekanandSubharatiVishwavidyalaya Uttar Pradesh Adhiniyam, 2008 (UP Act No. 29 of 2008) as passed by the Uttar Pradesh Legislature assented to by the Hon’ble Governor of UP in September 2008. The main campus of the university is located on the national highway 58, Delhi-Meerut-Haridwar bypass road , Meerut. The sprawling campus of the university is spread over 250 acres of land comprising magnificent buildings and green lawns. The university boasts a number of colleges that offer higher education in the disciplines like Engineering, Management, Law, Medical, Journalism, Arts, Commerce, Science, Pharmacy, Education, Paramedical and many more creating highly qualified professionals. 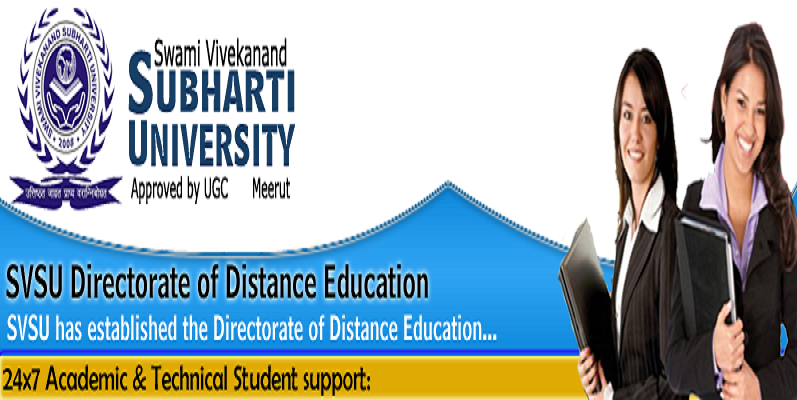 The university offers a number of course in Distance Learning approved by joint committee of UGC-AICTE-DEB.